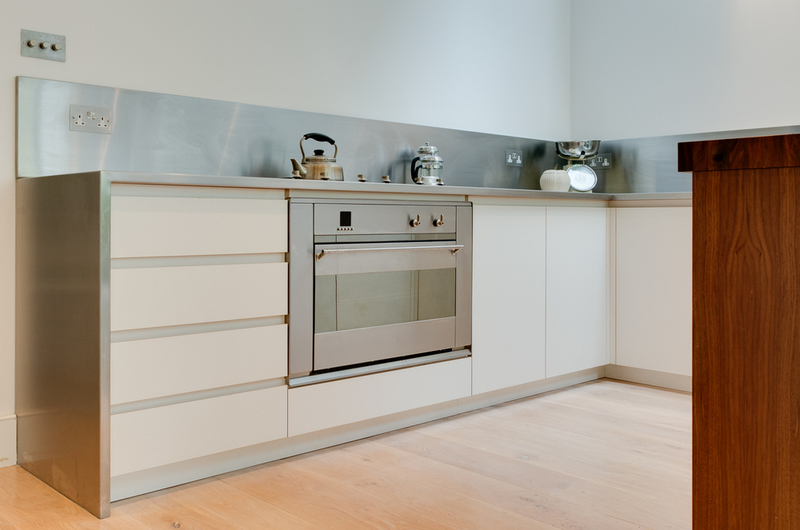 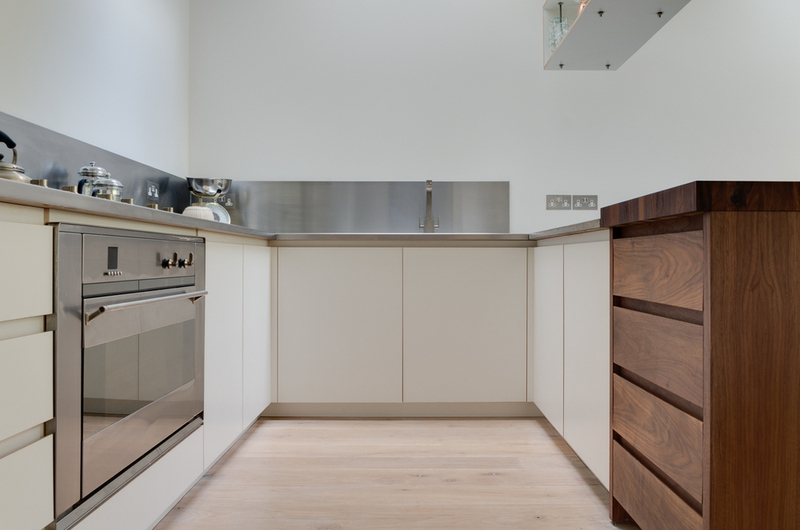 The Clapham Kitchen was one of our first bespoke kitchen projects. 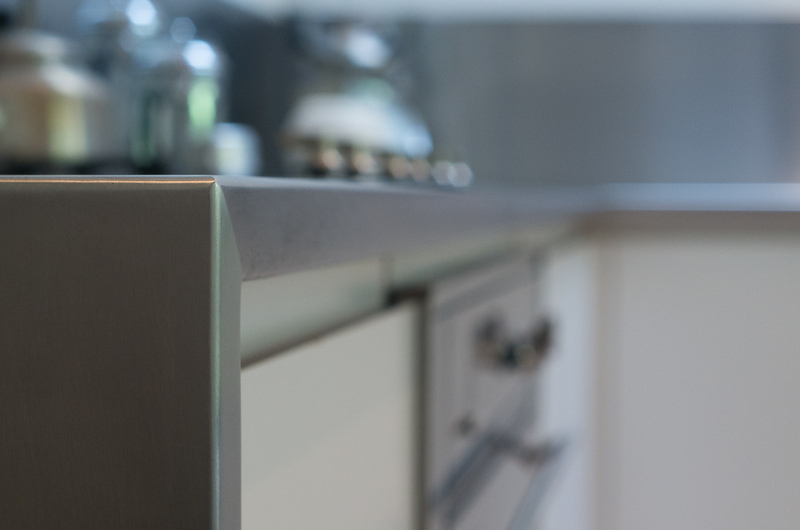 Our client came to us with some great ideas and a range of reference images which we used as a starting point for the design. 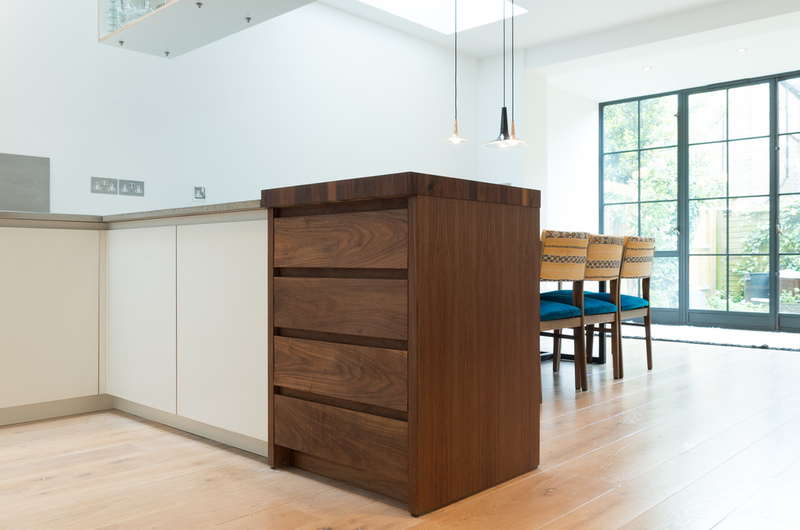 To keep within budget we focused on some key pieces like the bespoke solid walnut butchers block drawer unit and a suspended lightweight custom made shelf, whilst savings were made elsewhere through the use of a prefinished white melamine faced birch ply panel for the doors and drawer fronts. 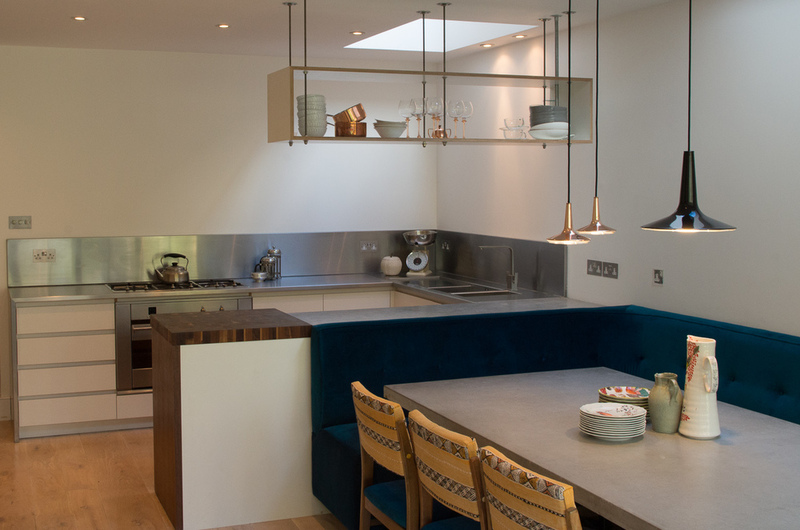 The bespoke kitchen was finished with an upholstered built in banquette seating area and concrete topped dining table.